Determined to finish my rereading of Harry Potter and not stop after the fourth book like I always do for some reason, I’ve been reading back through The Order of the Phoenix for the past week or so. What I love about rereading the Harry Potter books (aside from the fact that they’re simply wonderful) is that I can pick up on all the little details she threw in there that I never noticed the first time around, since you don’t realized their importance until a book or two later. Like, when Harry and the others are cleaning Sirius’s house and they throw away a locket, and I shout “Oh! The locket!” and get funny looks from my husband. Things like that. I’ve also been finding myself writing more short stories lately, and that has inspired me to take out more short story collections from the library. 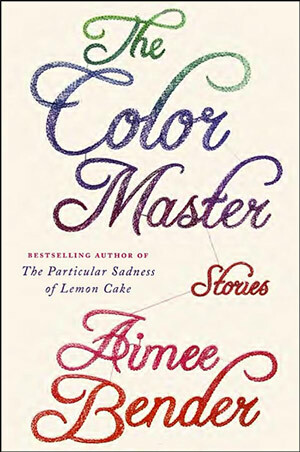 I recently finished Aimee Benders The Color Master. A good portion of these stories fit into the fantasy/magical realism slot, which was helpful for the piece I’m currently working on, and overall was a super enjoyable read. I’ve recently taken out an older collection of hers, Willful Creatures, and also Raymond Carver’s What We Talk About When We Talk About Love. After Phoenix I’d like to move on to the next Harry Potter book, but I’ve also got my copy of Infinite Jest waiting to be cracked open, so I might take a break and start that beast. I’m also on the look out for other short story collections; Neil Gaiman’s Fragile Things is one I have in mind, but I’m not necessarily looking for fantastical stories, just ones that are good or unique that can show me what the form is really capable of.